What’s the Deal With THC? Since the passing of Proposition 64, cannabis has been one of the biggest talking points in California. Even those that opposed the bill are coming round to it as they learn more about the fascinating medical benefits. Slowly but surely, we’re all becoming weed experts. Those still a little off the pace need worry not, however. We’ve got you covered. At Green Car Delivery, we’re making it our mission not just to connect patients with local dispensaries, but to actually enlighten you as much as possible about the burgeoning world of cannabis. So, to kick things off, we’re examining one of the truly fascinating areas of the cannaverse: cannabinoids (don’t worry, the cannaverse isn’t a thing – we just smashed cannabis and universe together). And no self-respecting blog would kick-off a cannabinoid series without first taking a look at THC. The daddy of all cannabinoids. Weed delivery in San Diego is all about knowing what is is you want from your experience, so prepare for some solid-gold knowledge. THC, or tetrahydrocannabinol, is what the scientific world calls a cannabinoid; there are more than 60 in the cannabis plant. But what are they exactly? Well, cannabinoids are chemical compounds that alter the neurotransmitter output in our brains. Simply put, they change the way our body functions by affecting brain activity. If you have a conversation with someone about cannabis for more than 30 seconds, the word THC tends to pop up. But if there are more than 60 cannabinoids, then what makes this one so special? Well, the answer is pretty simple: THC gets you “high”. It’s the psychoactive ingredient in cannabis. This makes it pretty darn interesting, not just to those looking to order weed delivery in San Diego, but to scientists and doctors too. THC also just happens to be the most prevalent cannabinoid in the vast majority of cannabis strains. The reason it has such a great effect, and the reason cannabinoids affect us at all, has a lot to do with our own bodies. We naturally produce chemical compounds known as Endocannabinoids (yep, they’re actually called that. We’re just walking, talking weed farms on a molecular level). These compounds are in charge of flooding the various parts of the brain at different times to cause a desired reaction. This is the reason we feel suddenly hungry, anxious, scared, sleepy and so on. It’s all to do with Endocannabinoids being sent to the brain and bonding at the right receptor site. When we use cannabis, we release waves of cannabinoids into the body. 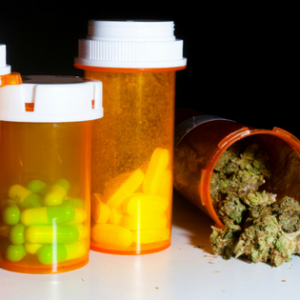 These happen to be identical in size and shape to our inner-cannabinoids. So, simply put, they just head on up to our brains and begin causing mayhem; flooding certain parts and causing our bodies to react. This explains why we get the munchies, feel sleepy and experience a high. THC, in particular, floods the part of the brain that deals with euphoria; causing a blissful deluge of happy-hormone dopamine. It’s clear why this is interesting to recreational users, but why science? THC provides a natural alternative to over the counter medicines for conditions like depression. Simply using the human body’s natural channels to lift the mood. It is also an effective treatment against nausea and is proven to provide pain relief. 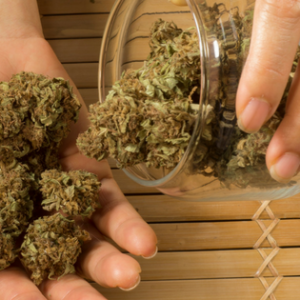 THC-heavy strains almost always tend to be Indica – the other branch of cannabis being Sativa. So, if you are looking to order weed delivery in San Diego, you’ll want to look for a potent Indica, such as Granddaddy Purple, Herijuana and Crown OG. If you’re looking to get cannabis delivered in San Diego, you’ve come to the right place. 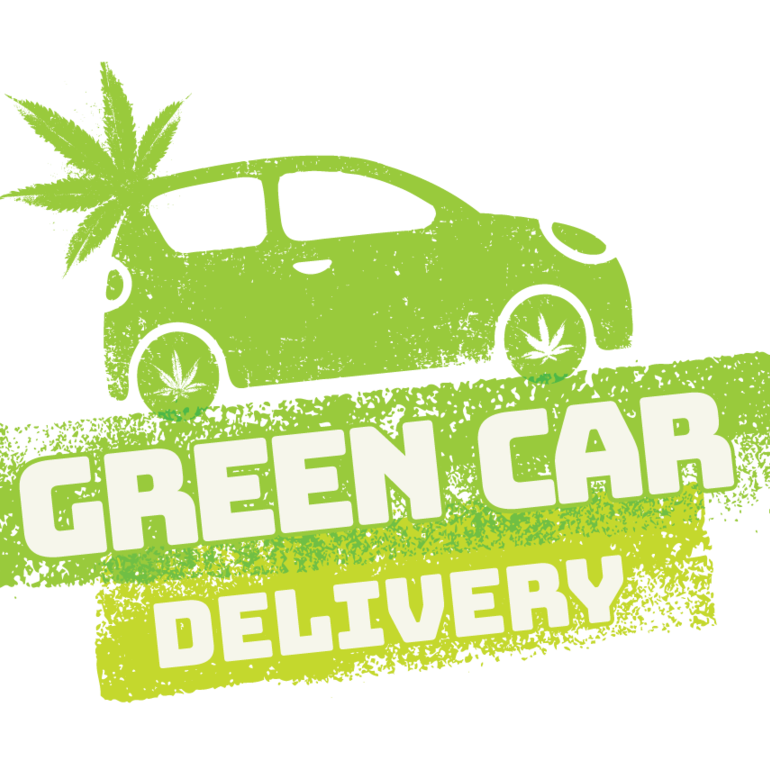 At Green Car Delivery, we are the experts in cannabis. Contact us if you have any questions about any of the strains we stock, and sign up today to order your cannabis delivered in San Diego within the hour! What's the Deal with CBD? What's the Deal With THC?